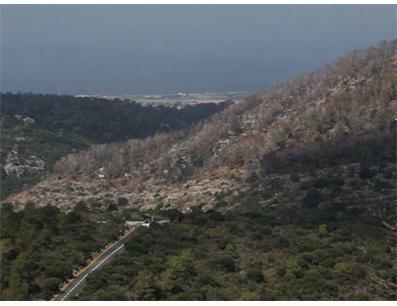 On December 2, 2010, the worst fire in Israel's history broke out in the Carmel Mountains near Haifa, destroying 5 million trees and 12,500 acres of planted forest, natural woodland and open spaces. After four days of continuous fighting, the Israeli firefighters succeeded in dousing the flames, but the road to recovery has only begun. 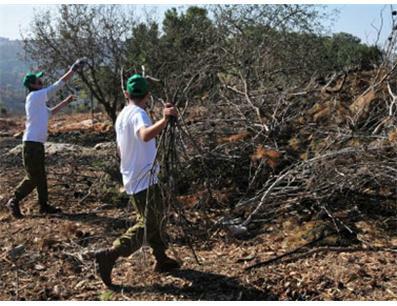 JNF's Operation Carmel Renewal: From Black to Green campaign is working to revive the damaged areas, beginning with cleaning up the affected area, and continuing by planting trees and cultivating the forests until they are restored to their original beauty. The Operation also includes providing firefighters with much-needed equipment and replacing supplies that were depleted during the fight. The restoration of the Carmel Forests may take years, but your donation can have an immediate and long lasting effect on the region. Please join with us and show your support for Israel's firefighters and the State of Israel. Make your donation now. See photos of the Carmel Forest fire. 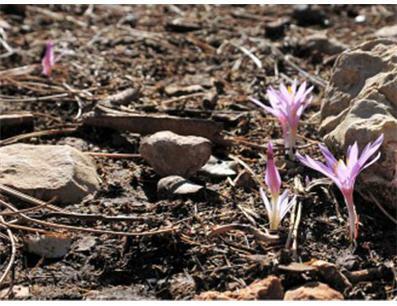 On December 2, 2010, the worst fire in Israel's history broke out in the Carmel Mountains near Haifa, destroying 5 million trees and 12,500 acres of planted forest, natural woodland, open spaces and built-up areas. After four days of continuous fighting, the Israeli firefighters succeeded in dousing the flames, but the road to recovery has only begun. Jewish National Fund is a non-profit organization founded in 1901. It all started with a dream. Theodor Herzl, a Viennese journalist, witnessed virulent anti-Semitism at the Dreyfus trial. He knew it was time to take action, and was determined that before the Fifth Zionist Congress in Basel, Switzerland came to an end, a national fund would be established to purchase land for a Jewish State in Ottoman-controlled Palestine. Jewish National Fund is the caretaker of the land of Israel, on behalf of its owners- Jewish people everywhere. JNF is the fundraising arm of Friends of Israel Firefighters in the United States. Over the past 109 years, JNF has evolved into a global environmental leader by planting 240 million trees, building over 210 reservoirs and dams, developing over 250,000 acres of land, creating more than 1,000 parks, providing the infrastructure for over 1,000 communities, bringing life to the Negev Desert and educating students around the world about Israel and the environment. As Israel grapples with a different kind of threat -- the worst drought to hit the Middle East in 80 years -- JNF continues to build reservoirs throughout the country. Over 200 reservoirs have already been constructed, adding over 66 billion gallons of recycled and flood water to the national water economy, or 10% of the total water supply. This water irrigates over 112,000 acres of crops that would otherwise use up scarce freshwater. By meeting 40% of Israel’s agricultural water needs, JNF reservoirs free up freshwater for domestic consumption. With the launch of the Parsons Water Fund, JNF has committed to raising $100 million through partnerships and private philanthropy to fund 40 additional reservoirs and new water treatment initiatives. JNF’s cooperation with the United Nations and its agencies included participating in conferences sponsored by UNESCO and the UN Environmental Program. As a global environmental leader focusing on Israel, JNF is committed to the United Nations Millennium Developmental Goals of 2015 and its partnerships with Israel’s neighbors, improving the quality of life for all who live in the Middle East. Find the JNF offices in your area. The fire destroyed one third of the Carmel Forest, burning down over five million trees.